I hate the word crochet or is it just the mental picture of what the word represents. People assume that crochet is for old people, sitting in a rocking chair wasting their time making Christmas jumpers, the same is said for knitters. I find that to be rather sad and very untrue. Ok I’m as small/short as a granny and I’m getting on a bit, safely sat in the 30’s 😩 but I’m far from claiming my pension. I try to pick up my hook at least everyday if not I don’t like to leave it for more than two. Sadly lately I haven’t been able to and I find that very hard. Crochet to me is therapeutic, it calms my soul and gives me a purpose. It also helps my hands from seizing up. It let’s my imagination run ride, it lets me create an individual piece of art, that will warp someone in love and warmth. To me that pretty special. Crochet challenges me daily and keeps my brain in some kind of functioning order, which right now I need. Most importantly though, it let’s me give a little something extra special to my family and friends. Every stitch, every loop, every knot has been hooked with love especially for the person I am making it for. 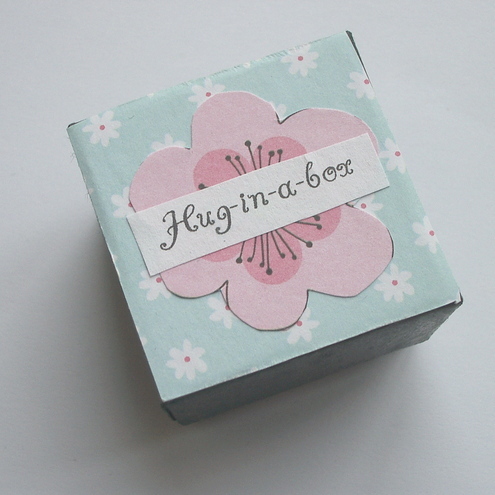 To see their eyes alight when they pull open the wrapping and lift the lid of the specially picked box, peel back the handmade tissue paper and reveal the blanket that is a hug in a box. That moment melts you. The only trouble is there is so many beautiful designs, patterns, masterpieces out there, how do you pick your next project, your next hug. And then when you finally decide on the perfect pattern, what yarn to use, and what colours? I’m a self-confessed yarn addict, I have more than enough to keep me going for at least two life times 😝, but still I never seem to have the perfect yarn in the right shades so of course I have to buy more. Every gift I make is unique in that way, hours of thought and love has been spent, planning that very individual special gift, then hours upon hours, days, weeks even months of hooking to make it. No shop brought give can match that in my eyes,👀 well unless it’s been given as much love and attention as what a home-made gift has. I’ll admit I’ve brought a few gifts that I’ve spent weeks researching and tracking down so I give the gift that I believed that person wanted. So do you still feel crochet or knitting as something that only old people do or can you see it for the precious, heartfelt, caring, loving hug it really is? This entry was posted in crochet, Food for thought. and tagged A hug in a box, crochet, food for thought, gift. Bookmark the permalink. What is wrong with schooling these days? Flashback Friday, but not so.